With success of 2013’s Lonely Comes Easy, their first all-new collection since 2009’s Cloud Of Dust, Chris Jones and the Night Drivers are thrilled to announce a new live album, Live At The Old Feed Store to be independently released October 7, 2014. “The critically-acclaimed vocalist, guitarist, and songwriter behind Chris Jones & the Night Drivers has one of the most distinctive voices in bluegrass, a smooth, low croon that goes down like whiskey with a little bit of honey,” writes The Bluegrass Situation’s Brittney McKenna in a recent interview. Joining Chris Jones as the Night Drivers are bassist Jon Weisberger, mandolin player Mark Stoffel, and banjo whiz Ned Luberecki. Musically, Live At The Old Feed Store will feature originals like “Battle of the Bands” (a soon-to-be-released single co-written by Night Driver Jon Weisberger and previously recorded by Chris for The 1861 Project), “Like a Hawk” and “Follow Your Heart”, the latter of which was co-written by Chris Jones and features guest vocalist Sally Jones. The album also offers concert staples like “Bound To Ride,” “Cabin Of Death” and “Edelweiss,” along with a new version of a George Jones song (“I Cried Myself Awake”) that Chris first recorded more than 20 years ago as a member of the Special Consensus. Emily Bankester of The Bankesters is also a guest on the original song “Then I Close My Eyes.” The album was recorded at one of the band’s favorite intimate venues, the Old Feed Store in Cobden, IL, on two successive nights in the summer of 2013 and mixed by Mark Stoffel. Chris Jones and the Night Drivers are honored to have passed onto to the 2nd ballot for the IBMA Awards in the categories of Entertainer of the Year, Instrumental Group of the Year, and Album of the Year (Lonely Comes Easy). Also making the 2nd ballot are Chris Jones for Male Vocalist of the Year, Ned Luberecki for Banjo Player of the Year, and Jon Weisberger as Bass Player of the Year. After this 2nd voting period is over, the final ballot will be announced in mid-August, which the IBMA members will vote on the nominees by early September. 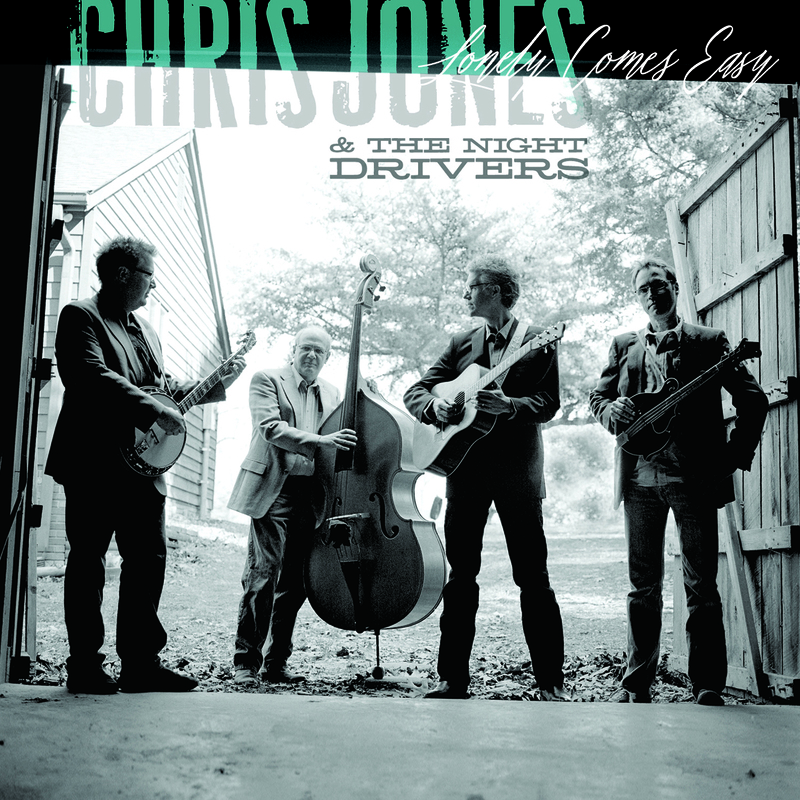 Chris Jones and the Night Drivers will be on tour this summer and fall. In mid-August they play the Targhee Bluegrass Festival in WY and the Red Clay Bluegrass Festival on Prince Edward Island in Canada. At the end of August they hop onto the Bourbon & Bluegrass Steamboat Tours, from St Louis to Cincinnati and back again, for two special river tours that offer a rare opportunity to experience the dynamic blend of historic discovery, toe-tapping bluegrass and the finest distilleries on the Bourbon Trail. 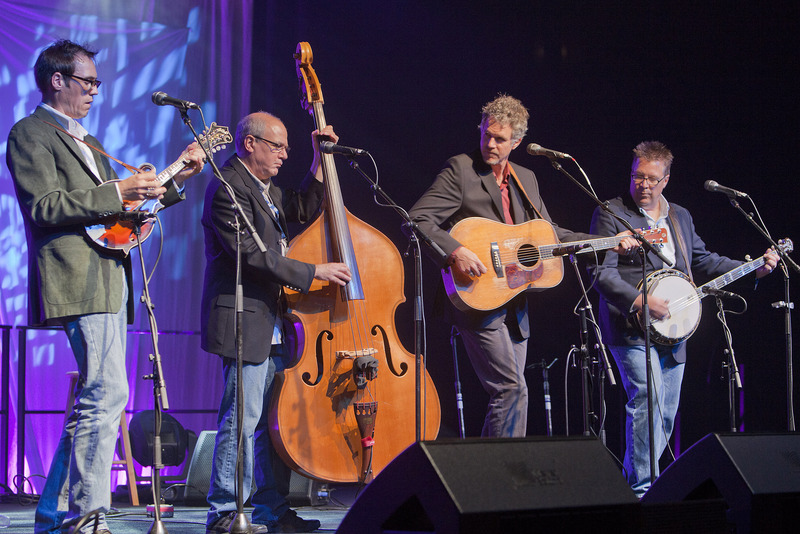 Upon return to solid land, the group hits the road again towards the ends of September for shows at Bean Blossom, the Outer Banks Bluegrass Island Festival and the Tennessee Fall Homecoming at the Museum of Appalachia. They’ll also be traveling for a European tour for ten days in October. For more information, tour dates and words from the road, please visit: chrisjonesgrass.com, facebook.com/chrisjonesgrass, and twitter.com/chrisjonesgrass. Jeff Austin. Photo by Señor McGuire. 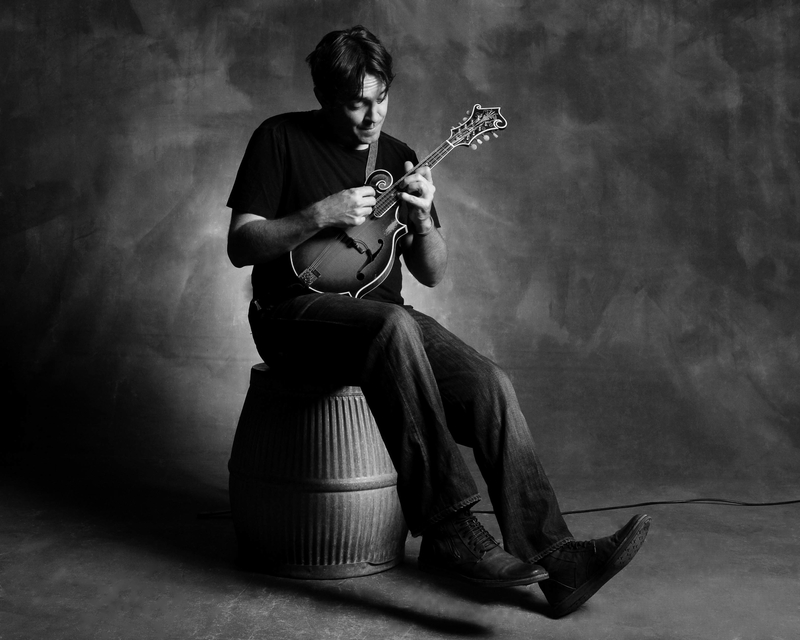 Celebrated for his fleet fingers and penchant for improvisation on stage, mandolinist, songwriter and vocalist Jeff Austin is on tour with Danny Barnes (banjo and vocals), Eric Thorin (bass and vocals), and Ross Martin (guitar and vocals) as the Jeff Austin Band. They have also have been in the studio with a number of other friends, heroes and mentors to record an album due out early in 2015. Fall brings the Jeff Austin Band to the West Coast with shows in Flagstaff, Phoenix, Los Angeles, Arcata, Eugene, Portland, Seattle and Bellingham. JAB will also be performing two nights at Railroad Earth’s Hangtown Halloween Ball in Placerville, CA where Leftover Salmon and moe. amongst others. Jeff will also be featured as an “Artist-at-Large” at the Ball. 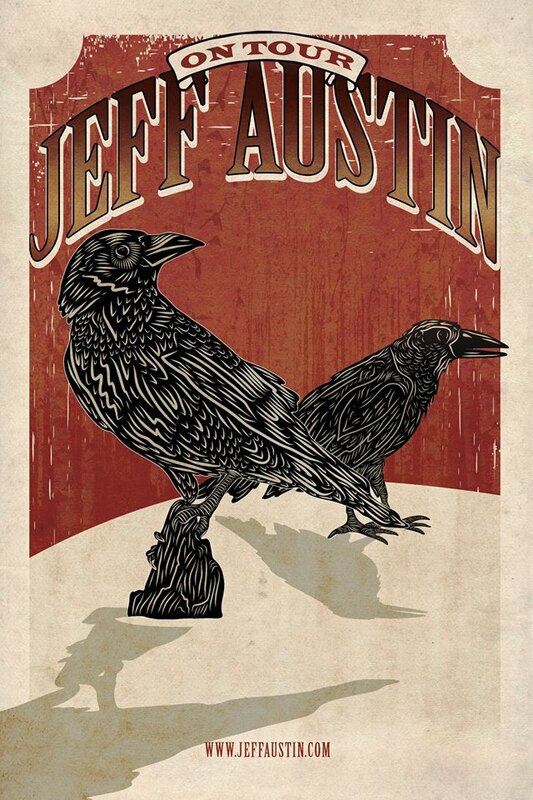 Jeff Austin Band is set to perform at a number of shows and festivals this summer including Grand Targhee Bluegrass Festival, Nedfest and Phases of the Moon. Jeff will also be appearing at Gathering of the Vibes, Yarmony Grass and Lockn’ Festival for special Grateful Grass sets featuring Austin along with Keller Williams and Keith Moseley. Austin is headed in a new creative direction with the Jeff Austin Band as he prepares to step into the spotlight as a solo artist. On his forthcoming debut project, Austin’s songwriting remains rooted in Americana inspiration and the frantic energy of the jam genre but also, reaches even further weaving in more mainstream themes, reminiscent of his co-write contribution “Fiddlin’ Around,” that was featured on the 2010 Grammy nominated Dierks Bentley album, Up on the Ridge. Please visit JeffAustin.com for more information and further tour dates. Keep up to date with Jeff on facebook.com/JeffAustinOfficial and twitter.com/Jeffreyaustin10. 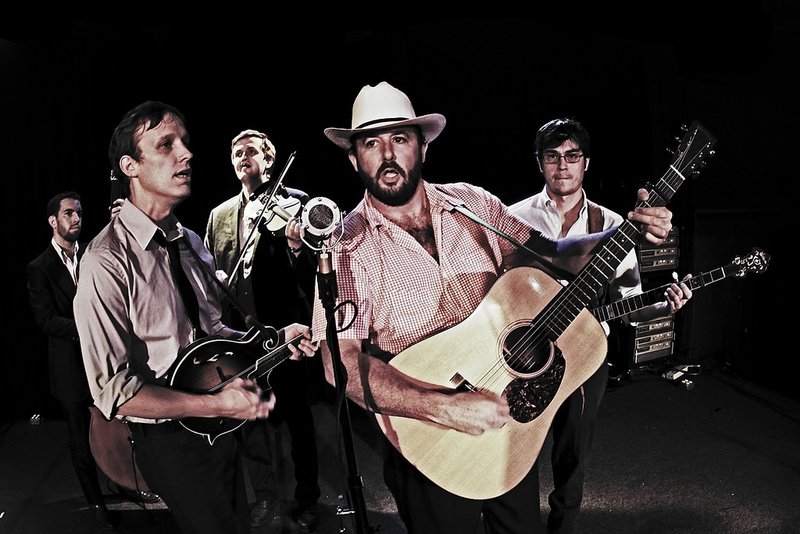 Town Mountain’s hard drivin’ bluegrass sound, tight harmonies, and stellar in-house songwriting have become the band’s trademark. They light up the stage with their honky tonk edge and barroom swagger, featuring a Jimmy Martin-style bounce and confidence that is countered at times by a laid-back John Hartford-esque groove. Town Mountain includes Robert Greer on vocals and guitar, Jesse Langlais on banjo and vocals, Bobby Britt on fiddle, Phil Barker on mandolin and vocals, and Nick DiSebastian on bass. Live At The Isis Artwork by Phil Barker. 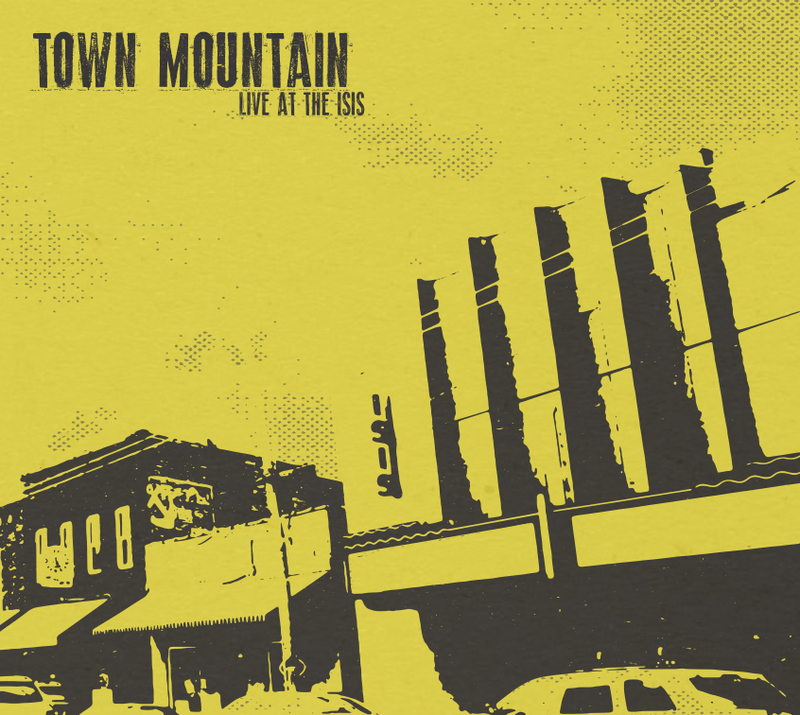 They are set to release their first official live album, Town Mountain: Live At The Isis, on August 19th, 2014.The concert was recorded in their hometown of Asheville, NC at Isis Music Hall. The album features live versions of previously released studio material including crowd favorites “Lawdog,” “Tarheel Boys” and the fiddle tune “Four Miles.” Amidst the original songs are a couple of lively Town Mountain-tweaked covers such as “The Race Is On” and “Orange Blossom Special.” The audio was mixed by Scott Vestal, acclaimed banjoist with the Sam Bush Band, who also mixed their 2012 release, Leave The Bottle. As for the future, stay tuned for a new upcoming studio album due next spring filled with more original Town Mountain songs. Town Mountain was honored to learn that they made the 2nd ballot for the IBMA Awards in the categories of Entertainer of the Year, Vocal Group of the Year, Instrumental Group of the Year, and Emerging Artist of the Year. Lead singer Robert Greer also made the 2nd ballot for Male Vocalist of the Year and Bobby Britt is staking a well-deserved claim for Fiddle Player of the Year! After this 2nd voting period is over, the final ballot will be announced in mid-August, which the IBMA voters will send in by early September. This summer they perform at Rockygrass and Targhee Bluegrass Festival, along with several shows in the Northwest before a plethora of dates in northeast, the southern appalachian region, and the midwest. In the fall the band will be appearing at the Bristol Rhythm and Roots Reunion, Watermelon Park Festival, IBMA’s World of Bluegrass Festival, 34th Annual Georgia MarbleFest and a host of other shows. The band has been having an exciting year so far and have traveled far and wide including some notable appearances in 2014 at Wintergrass, Suwannee Springfest, Durango Bluegrass MeltDown, Music City Roots, MerleFest, Lake Eden Arts Festival, Graves Mountain Festival, Best of Bluegrass, California Bluegrass Association Father’s Day Festival, Bean Blossom Bluegrass Festival, The Grey Fox Music Festival, as well as a recent show at City Winery in Chicago supporting Ralph Stanley and his Clinch Mountain Boys. Town Mountain is in it for the long haul… check out out where they’ll be travelin’ to this year and keep an eye on TownMountain.net for further dates and updates from the road at facebook.com/TownMountain and twitter.com/TownMountain. 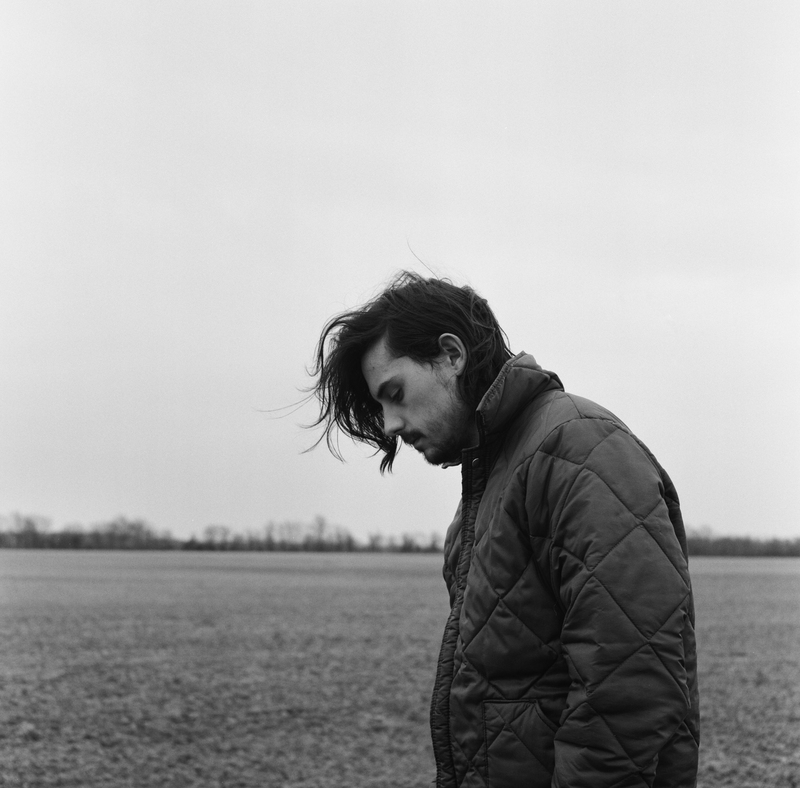 Joseph LeMay has been receiving many accolades since the independent release of his debut album Seventeen Acres on May 20th, 2014. Although a newcomer to the scene, LeMay has been developing his voice as a songwriter and producer for several years, observing and working with his longtime mentor and veteran producer, Charlie Peacock (The Civil Wars, Brett Dennen, Switchfoot, The Lone Bellow). 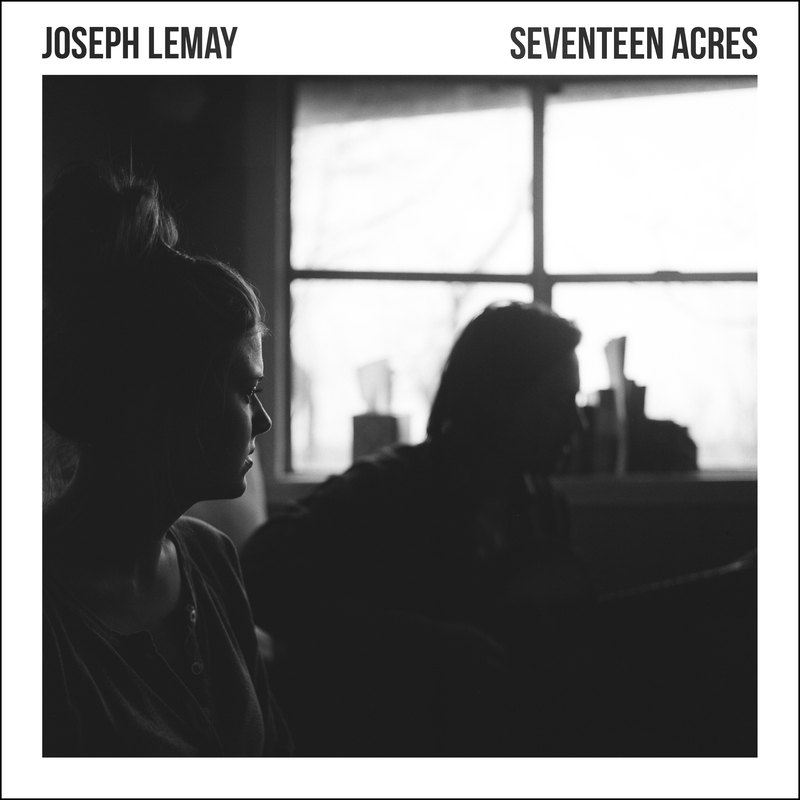 LeMay’s ability to tastefully wear the hats of both artist and producer is what makes his Seventeen Acres stand out as an album of note. The story of Seventeen Acres began unfolding when LeMay and his new bride, Molly, packed up their belongings and moved out of the hustle of Nashville and into a singlewide trailer in West Tennessee on her grandfather’s hand-me-down 17 acre farm. They patched up the old trailer, cleared the grass that had grown up through the cracks on the floors, freed the space of copperheads and spiders, and sorted through decades of stacked boxes filled with old family memories. Joseph found himself in a drastically new season of life. He was a married man, alone in the woods, between two towns you’ve never heard of. With little to do but reflect and work on his craft, LeMay’s new life and songwriting began to grow alongside one another. They tangled to form the tapestry of reflection, prophecy, and fulfillment that became Seventeen Acres. 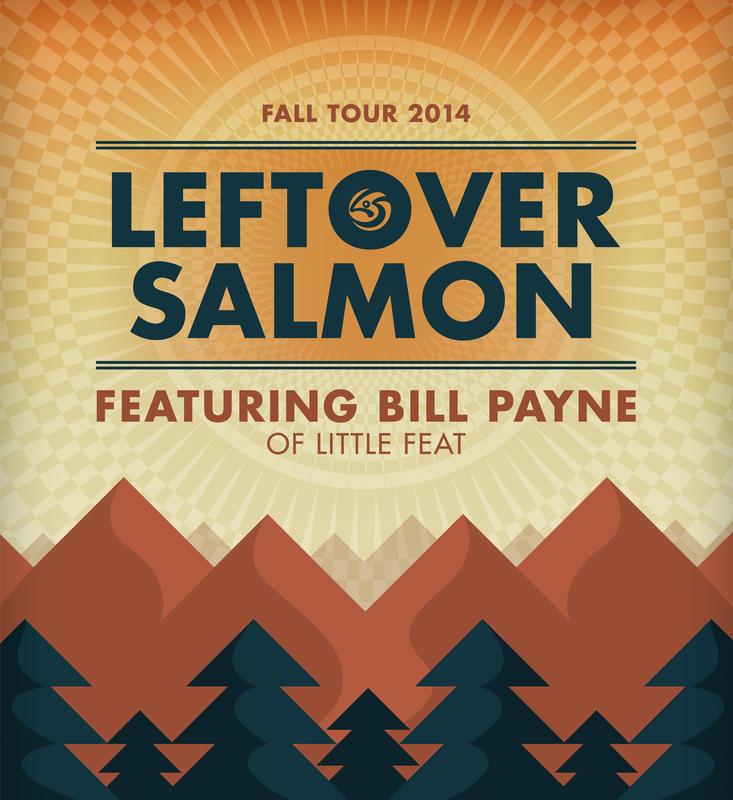 Leftover Salmon is excited to announce their 2014 Fall Tour featuring Bill Payne of Little Feat for the majority of the shows. This September Leftover Salmon performs a couple of shows in Michigan before heading to Phases of the Moon Music and Arts Festival in Illinois. Monday, September 15th marks their 15 year anniversary of the Nashville Sessions which will be celebrated with a performance at the Ryman Auditorium in Nashville with special guests including John Bell, Sam Bush, Jeff Coffin, John Cowan, Jeff Hanna, Taj Mahal, Todd Park Mohr, Bill Payne, Randy Scruggs, Jo-el Sonnier, Sally Van Meter, and Reese Wynans. Late September brings the Leftover Salmon and Bill Payne to the Watermelon Park Fest in Virginia and the Mauch Chunk Opera House in Pennsylvania. In early October they play two nights at The Arcata Theater, followed by two nights at The Independent in San Francisco, and then another double header at the Applegate Lodge in Oregon. The fall tour closes out with shows in Eugene, Portland, and Seattle. Tickets go on sale this weekend at: http://bit.ly/LosTourDates. 10/02 Thu – Arcata Theatre – Arcata, CA* ! 10/03 Fri – Arcata Theatre – Arcata, CA* ! ^ Leftover Salmon The Nashville Sessions 15th Anniversary Concert featuring Leftover Salmon, Bill Payne of Little Feat, John Bell of Widespread Panic, Taj Mahal, The McCourys, Jeff Coffin, and more!